We all ask “why” questions. Why did they act that way toward me? Some may question why so much evil exists if God truly loves. The problem of evil is one main reason people indicate as why they don’t believe in God. There may not be a satisfactory answer for many, but how we respond to this question can determine whether we believe in God or in the midst of suffering we will wonder if God really exists. It doesn’t matter if you accept my explanation or prefer another which allows you to understand God in difficult times. For this time in my life Thomas Oord in his book, The Uncontrolling Love of God, offers the best answer to this age old question. Freedom is the only path which brings the most joy to authentic relationships. There is no greater feeling than knowing partners, children and friends love you because they want to love, not because they have to love. The Creator is certainly powerful beyond imagination but not even an almighty God can force true love. Even human beings know “controlling love” is an oxymoron and not love at all. God, like parents, had a choice – to not create or to create knowing suffering was a possibility in the process of attaining intimacy. Humans, unlike God, are tempted to control to avoid pain for themselves or others. It is impossible for God to create without freedom or to create and control. God’s nature, instead, is love which never controls. Since God’s love is uncontrolling, God cannot stop evil resulting in so much suffering. What God’s love can do is prevent evil through the free decisions of others to change or intervene in the lives of those around them. God can influence in all the appropriate ways, but divine love limits divine power. I cannot quite explain it but somehow a perfect being interfering in the lives of others, even for moral reasons, is different from beings striving for perfection. Just as loving parents desire their children to freely reciprocate their love as opposed to feeling manipulated, God wants us to come on our own terms rather than out of obligation or fascination. Being awestruck doesn’t always last in relationships. Miracles or intervening in suffering can impress but don’t always lead to a long lasting relationship. God wants it to be all about our choice and not about God’s control. We ask why God did not take Hitler out of this world, but Hitler was enabled and chosen by many who could have stopped him. God’s constant interference and presence might prevent a superior world from emerging as a result of limiting the moral development and improvement of free creatures. Interference can prevent growth, thus reducing self-satisfaction resulting from making wise, independent choices. This explanation for many may make God seem less powerful unless it is compared with the love of parents who do not control their child, thus demonstrating a greater degree of love. God’s love is greater than the greatest imaginable. If I don’t stop my children from hurting themselves or others, it may be the only hope they have of eventually freely choosing good and experiencing the joy which comes from it. I hesitate to compare because God, unlike humans, is incapable of controlling. The uncontrolling love of God is also a better explanation than God “allows.” When we say God allows, it gives the impression God stands by when God could stop evil. Who admires those who stand by in the name of freedom while individual rights are being violated? 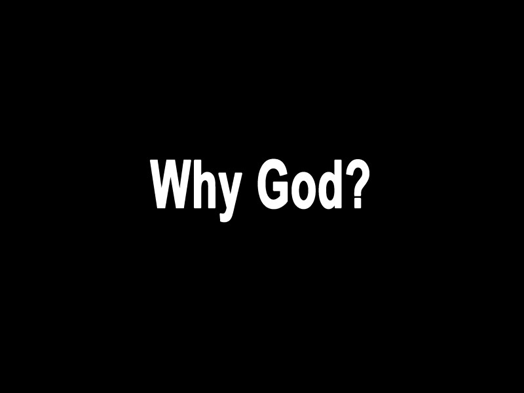 How can we justify God doing nothing if God could control evil in the first place? The obvious answer is, God cannot stop evil, thus act controlling, except by intervening in the lives of others without violating their freedom. God can no more control others than God can choose not to love them perfectly.